LAS VEGAS -- Joyce Rhone didn't see the attack coming -- and certainly not at a blackjack table at the vaunted Bellagio Hotel and Casino, her attorney said. 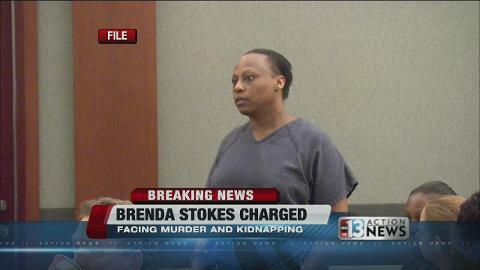 But in a scene that shocked onlookers, fellow Bellagio employee Brenda Stokes is accused of attempted murder in a box-cutter attack on Rhone. Stokes allegedly used two razors and repeatedly slashed the victim's face with cuts so deep to her cheek that they revealed Rhone’s teeth. 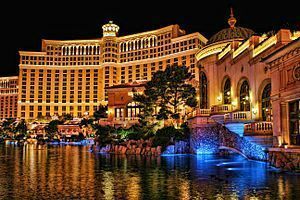 Now a lawyer representing Rhone in the December attack has filed a civil lawsuit against the Bellagio, claiming that the casino's security force failed to ensure "that its property was reasonably safe and to render aid to" Rhone. Stokes, who is also a blackjack dealer at the Bellagio, came to the casino on her day off, a company violation, the suit says. Even though several security workers saw her before the attack, she was not asked to leave the premises, the suit claims. "It's bad enough that the victim was slashed," Rhone's lawyer, Harold Gewerter, told the Los Angeles Times. "What happened afterward was even worse." The lawsuit claims that no one from the Bellagio's staff came to help Rhone, and that she was saved by a casino patron who finally stepped in to stop Stokes’ attack. "If not for the intervention of a patron who wrestled [the attacker] to the ground, Plaintiff Rhone most assuredly would have lost her life,” the lawsuit claims. Stokes, 50, who remains in custody, has been indicted in the attack on Rhone and in the stabbing death of 10-year-old Jade Morris, her fiance's daughter. The lawsuit says that Rhone and Stokes socialized after work, often with Stokes' fiance. The suspect apparently believed the two were having an affair and attacked Rhone, the lawsuit states. Gewerter told The Times that the Bellagio must be held accountable for not rushing aid to a gravely wounded employee. "If you count cards, five people will jump all over you, and that's not even a crime," Gewerter said. "But here is a woman who is wounded so badly she has to hold her face together and nobody does a thing." He added, "This is one the the city’s five-star hotels and this is how they treat people? A spokeswoman for the Bellagio said the casino has not yet had an opportunity to review the lawsuit and does not comment on pending litigation. The lawsuit states that following the attack, Rhone crawled for several hundred feet in full view of several pit bosses. "People saw her. The pit bosses, they stood and watched like it was some horror film," Gewerter said. "After the victim crawled several hundred feet, a cocktail waitress finally leaned in and asked 'What’s going on, dear?' Then Ms. Rhone collapsed. The next thing she remembers is being surrounded by paramedics and cops." Gewerter said Rhone, a single mother, has had major cosmetic surgery and feels that she cannot return to work at the Bellagio. "One cut goes from her eye to her lips," he said. "“She wears a scarf whenever she goes out in public. She's just scared." The death of Jade Morris, 10, is now linked to a car last borrowed by Las Vegas Strip card-dealer Brenda Stokes Wilson, who had gone holiday shopping with the girl. Wilson is in jail and on trial for attacking a fellow worker with a pair of razors and is now the suspect in the death of the child, says a prosecutor. LAS VEGAS — Blood was found inside a car borrowed by a Las Vegas Strip card dealer last seen with a missing 10-year-old girl and later arrested in the razor blade slashing of a co-worker at the posh Bellagio resort, a prosecutor said Friday. 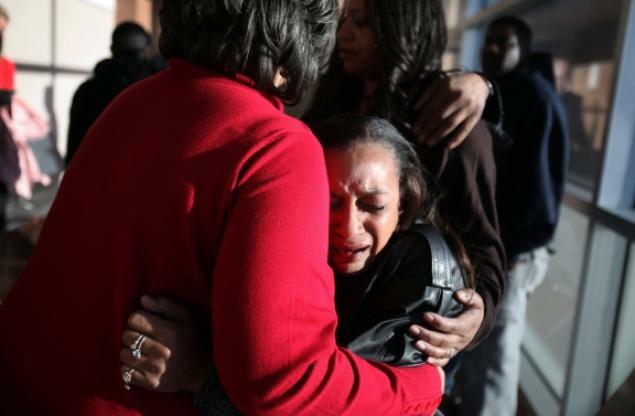 Brenda Stokes Wilson was identified in court Friday as the prime suspect in the slaying. “It’s no secret the defendant is the suspect in the murder of 10-year-old Jade Morris,” prosecutor Robert Daskas said as he convinced Senior Clark County District Court Judge Joseph Bonaventure to increase Wilson’s bail from $60,000 to $600,000 pending the filing of kidnapping and murder charges. Later Friday, Clark County coroner’s officials identified the body found Thursday as that of the girl, Jade Morris. Officials say she died of multiple stab wounds. The girl was last seen Dec. 21 with Wilson, who’d picked her up to go Christmas shopping. Family members say Jade had a close relationship with Wilson, who used to date her father. 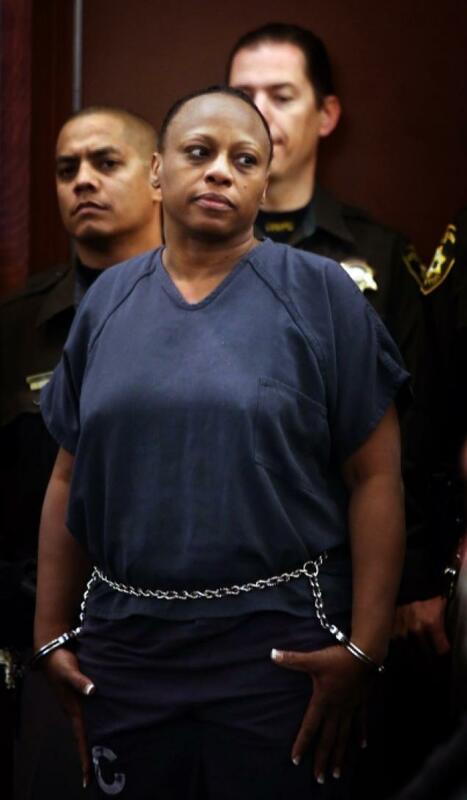 Wilson, 50, was arrested later that night after she was wrestled to the ground with razors in each hand following a face-slashing attack on a female co-worker, Joyce Rhone, at the Bellagio. She appeared in court in that case Friday, when a judge raised her bail to $600,000. 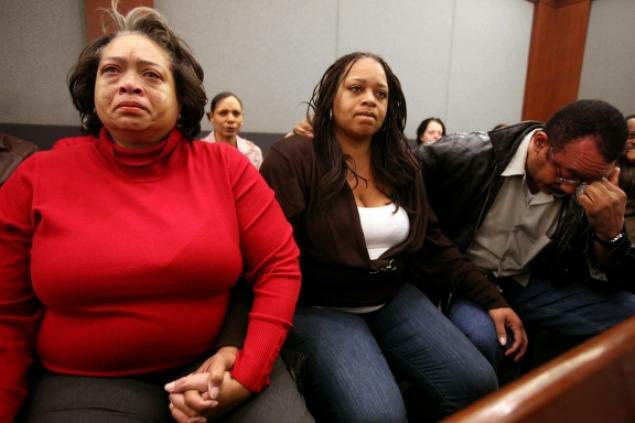 Brenda Stokes Wilson appears in Clark County Justice Court, Friday, Dec. 28 in Las Vegas. Wilson is accused of slashing a Bellagio blackjack dealer and is suspected of kidnapping and slaying 10-year-old Jade Morris. Wilson has been jailed on felony battery with a weapon, burglary and mayhem charges that could get her decades in prison. Police said she has offered no help in the search for the missing girl. Murder and kidnapping charges could get her life in prison without parole or the death penalty. Wilson stood in court flanked by eight police officers as her lawyer, Tony Liker, clutching a Bible and a copy of the charging documents, asked the judge to postpone arraignment until Wednesday to give him time to meet with Wilson. Liker declined comment outside court. Police went public with the search for Jade Morris on Christmas Day, and the case received increasing attention after the relationship between the girl and Wilson became known. Clark County District Attorney Steve Wolfson watched the proceedings in court Friday and called the case important for the community. Smart move. Can't sue Stokes since she doesn't have any money, so go after Bellagio (MGM Resorts International). This case will probably settle for several hundred thousand dollars, as no jury will have any sympathy for the casino and MGM will never let this go to a jury anyway. think she has a case there. crazy monster. hope she dies in prison.